Our hunt for the best Nexus 4 case continues today, as we take a look at Rearth’s Ringke Fusion. The Ringke Fusion combines both protection and a transparent back, so that you no longer have to hide the Crystal Reflection backside that the N4 is somewhat known for. I’m surprised it took accessory companies so long to come up with an option like this, so let’s see how Rearth did as the first to market. The Ringke Fusion is a mix of TPU and PC – TPU is the black part for bumper-style protection, PC is the clear back. The TPU portion has what feels like a soft, almost matte finish and does not give off the rubbery feel like other TPU cases. The PC see-through back piece has been given an anti-scratch coating to help with minor dings, but likely won’t withstand a full-on key scratch test. Overall, the materials combine well to give both a unique look and what should be ample protection from drops. It should also keep the glass backside of the Nexus 4 scratch free. This case fits OK. It’s tight, yet can still be removed fairly easily if need be. I am having somewhat of an issue with the Power/Lock switch, which isn’t as easy to toggle with the case attached. It’s not impossible, but you definitely have to find the sweet spot or simply press it a few times to get it to react. Outside of that, the case is minimal enough and doesn’t add much bulk. The TPU material is soft in hand and should help with grip so that you are less likely to drop it. I’m a fan of the clear back, as that is one of the design highlights of the device that most of us would hate to hide. In the short time with this case, I haven’t scratched it or anything, but I’m guessing over time it’ll see little scuffs here and there just like a normal screen protector would. Rearth also added little bumps on the back corners of the case so that it’s slightly lifted off of any surface when laying backside down. This should help to extend its scratch-free life. Wireless charging still works with the Fusion, as well. 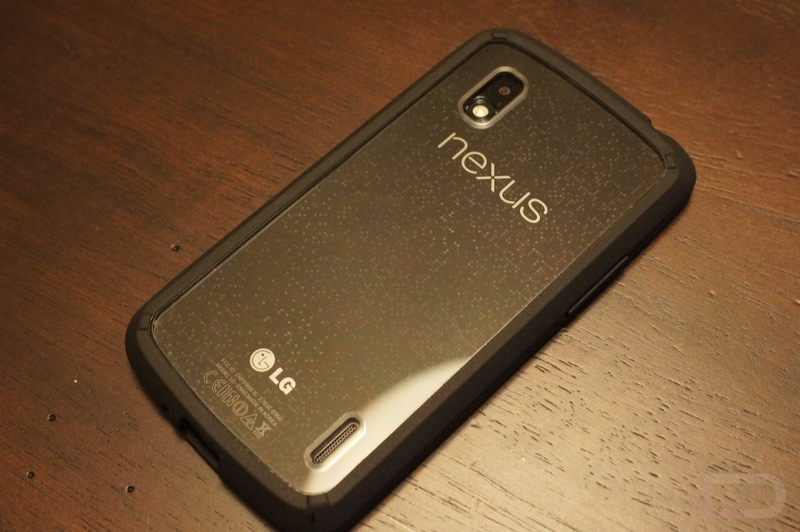 This is a great option for anyone looking for protection, but still wants to be able to show off or see the Crystal Reflection backside of the Nexus 4. Actually, it’s the only option I know of that combines a case with a clear protective back. It’s only $13.99 as well, which is less than some of the ultra slim cases available that hide one of the Nexus 4’s best features. You can pre-order now. The cases should ship around February 20. Update: Here is a quick video comparison of the Fusion to the Ringke Slim, Spigen Ultra Thin Air, and official Bumper.